Diets are difficult. At midday you’re chomping through lettuce leaves that taste a lot like carpet, and by 3pm you’ve probably consumed a doughnut, chocolate bar and half of your candy stash. We’ve all been there. Skip the diet drama and head to our favourite healthy lunch spots in Melbourne. Whether you’re vegan, coeliac or just health-conscious, Broad Bean Organic Grocer will keep you on track. There’s made-fresh-daily wholefood salads and wraps, plus juices and smoothies. They also have a huge range of organic groceries and fresh produce, so you can stock up your fridge and pantry while you’re here. Tucked into Flinders Lane, Laneway Greens’ bright, clean interior features pure white walls, monochromatic tiles and homely ceramic bowls. Boasting a clean-eating menu with seasonal specials, our current favourites include the miso glazed salmon with pickled cucumber, nori, fennel, red apple, red quinoa, laneway leaf blend, roasted sesame seeds, dill, puffed crispy amaranth, ponzu dressing and miso soup. Takeaway has never been better for your waistline. Run by husband and wife team Kerry and Jeffrey Chew, this petite hole-in-the-wall café is home to an array of smoothies, healthy salads and raw treats. Hunters Roots creates salads so mouth-smackingly delicious you’ll be left questioning your own kitchen skills. 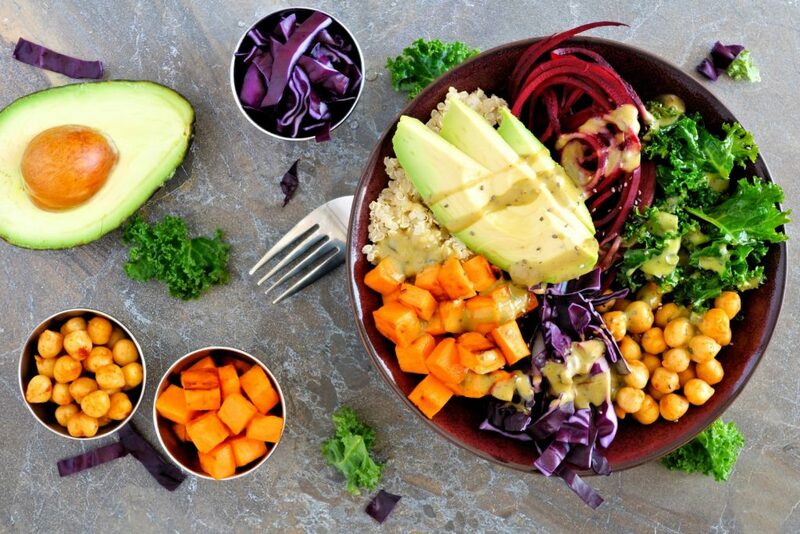 Expect spiralled zucchini noodles with raw vegan broccoli, walnut pesto and cherry tomatoes, along with superfood packed smoothies like the Purple Rain, with dragonfruit, local berries, banana, coconut yoghurt, coconut milk and camu camu. Salads aren’t filled with hot air at Crisp, with options like the pulled pork tortilla salad and chicken chipotle salad. Breakfast foods like a thick acai bowl or decadent smoothie means you might be a twice a day visitor. Kilojoules, protein and fat details are listed on the menu to help you keep track of the day. 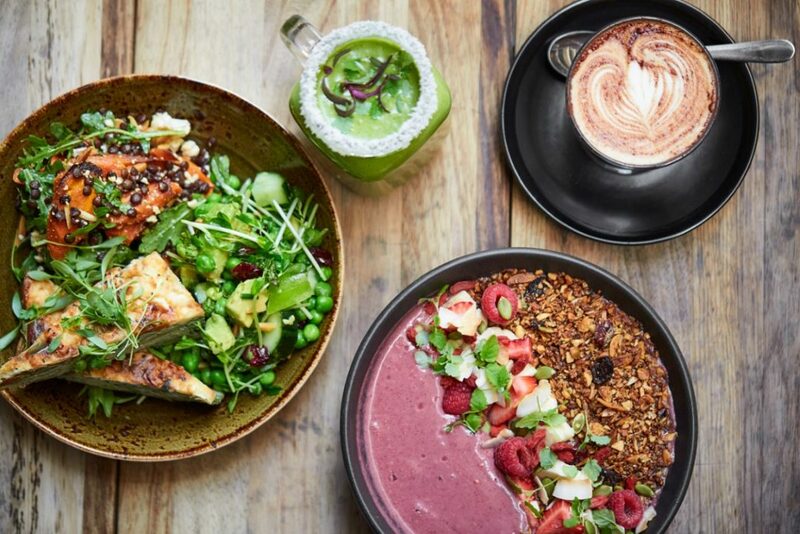 The Seedling Cafes on Flinders Lane and Little Collins Street are temples of nutritious, delicious food that’s paleo-inspired and gluten- and sugar-free. The menu’s also kind to folks who are looking for dairy-free, vegan, raw, nut-free and low-carb options. Even your coffee comes just the way you like it, whether decaf, lactose-free, or with almond, coconut or soy milk. Woohoo! As the name proclaims, The Organic Food and Wine Deli is an awesome place for everything organic, but that’s not all. 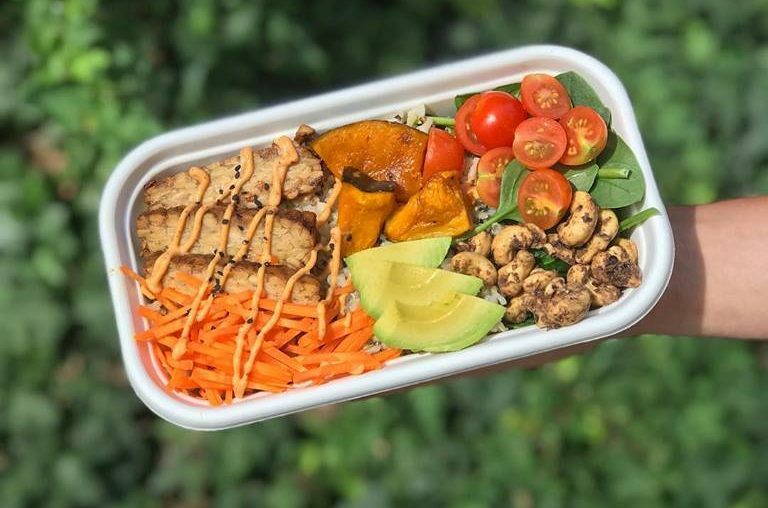 Most of what’s on offer is vegan, and there are also plenty of options that are free of wheat, sugar or gluten. Whether you want food-to-go like pies and cakes, fresh fruit and veg, pantry items or even gift hampers, they’ve got you covered.